It’s no secret that many of us are die hard sports fans. We follow our teams daily, wear jerseys on our backs with their names on them, cheer when they win, and get cranky when they lose. We embrace our favorite teams because they are the best – they have the best players, the best coaching staff, and of course, the best fans. Thinking about those teams leads to thinking about how they prepare for the season, for each game, for each practice. Every player and coach will tell you that you that you can never over emphasize the fundamentals. Coach Tony Dungy said: “It’s not necessarily who has the most talent but what team sticks together and executes their fundamentals the best.” Fundamentals are the basics; the beginning; the foundation blocks that all other processes build upon. In this series, we are going back to the basics of on-farm rice milling and focusing on each step that paddy rice goes through in a owner operated rice mill. This will be a multi-part series. If you want the next part of the series as they are released, follow our social media page at ZaccariaUSA on Facebook and we’ll let you know when the next section is published. We’ll include it in our newsletters as well (if you currently subscribe via our online portal). 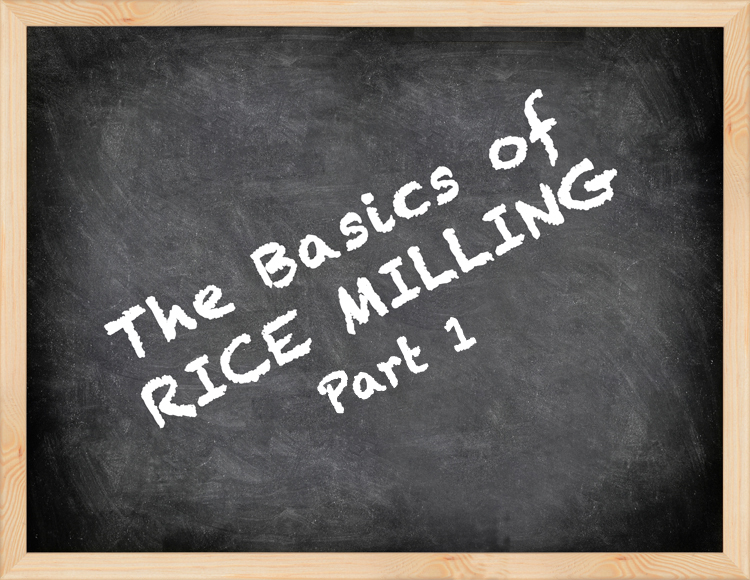 We hope that you enjoy this series on Rice Milling Basics. At harvest, a lot of material is picked up other than paddy rice including rocks and stones, straw, nuts and bolts, dirt, etc. Usually, this foreign matter is either larger or smaller than a paddy rice kernel. A Pre-Cleaner is the first step in your rice mill. The paddy flows through the machine while the material that is smaller than paddy falls through the bottom screen and is discarded and the material larger than paddy flows over a top screen and is discarded. All that moves onto the next step is material that is the same size as paddy rice. The material that is larger and smaller than paddy rice has been removed by the Pre-Cleaner, but what about the material that is the same size as paddy rice but isn’t paddy rice? A permanent magnet is used prior to entering the mill to remove any metallic objects. Because the husking rolls are rubber, any metal object getting into the husking chamber can cause a significant amount of damage to the husking rolls, as well as to the abrasive stone in the whitener. A magnet saves quite a bit of heart ache from unproductive down time and money from prematurely replacing parts. You never want to run your mill without product in it. You want to make sure that you have a collection bin prior to entering the mill that can be allowed to fill up prior to turning your mill on. As long as you correlate the speed of your mill with the speed of your feeding elevator, your bin should always stay filled to roughly the same level. If you are not feeding your mill at the same rate that you are milling, you can use your surge bins as a way to offset the speed differential. If your mill is faster than your elevator, you can turn your mill off while the elevator keeps running to fill up the surge bin. If your elevator is faster than your surge bin, you can turn your elevator off while your surge bin empties into the mill. Once the appropriate level is attained It is important to try to match the speed of each machine, as that cuts down on your need to babysit an unnecessary problem. In Part 2 of the series, we’ll discuss the next steps in the milling process including the paddy husker, the paddy separator, and the whitener. For more information about the machines in this series, check out our processes page at ZaccariaUSA Rice Milling.